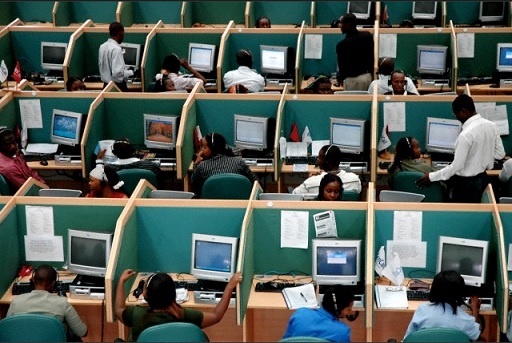 Why does every call center have to sound, look and feel like all other call centers? Why does ever support call from practically all companies out there, has to look, feel and sound like the support call from all other companies? The majority of phone calls don’t result in an immediate order. Sometimes a customer may be calling because it’s her first time returning an item, and she just wants a little help stepping through the process. Other times, a customer may call because there’s a wedding coming up this weekend and he wants a little fashion advice. And sometimes, we get customers who call simply because they’re a little lonely and want someone to talk to. I’m reminded of a time when I was in Santa Monica, California, a few years ago at a Skechers sales conference. After a long night of bar-hopping, a small group of us headed up to someone’s hotel room to order some food. My friend from Skechers tried to order a pepperoni pizza from the room-service menu, but was disappointed to learn that the hotel we were staying at did not deliver hot food after 11:00 PM. We had missed the deadline by several hours. You would think that Zappos succeeding with this innovative idea for support would prompt other companies to step up and change their support centers; but in the larger scheme of things, support still remains a cookie cutter solution based industry. I continue to be absolutely amazed at how really small startups who can support their customers with two cell phones; go out of their way to setup up these elaborate automated voice systems which leads their customers through countless 'Press X to do Y' options. I continue to be amazed how not one support center actually has a well defined way to route your call to the same executive instead of having to repeat your problem / story to a different executive every single time you call up regarding the same incident. What made Zappos support work was that it wasn't cookie cutter. It was improvised. But improvisation is hard. Improvisation takes serious effort. And improvisation is risky. Cookie cutter support however is easy; cookie cutter is well established; and cookie cutter is safe... which by the way are exactly the qualities that make it, risker than risky.